Among the designers of buildings today, one of the hottest is Sir David Adjaye. In just 20 years, this British-Ghanaian has successfully opened offices in London, New York and Accra with projects currently in the U.S., U.K., Europe, Africa, Asia and the Middle East. 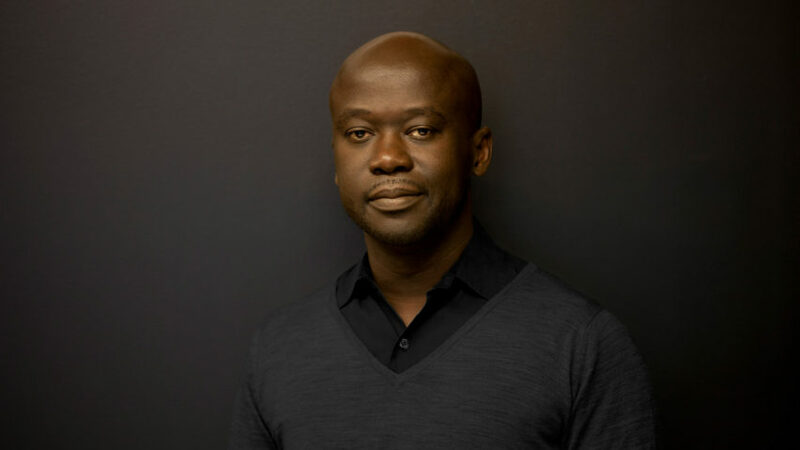 In 2017, Queen Elizabeth II knighted Adjaye for services to architecture following the opening of the $540 million Smithsonian Institute National Museum of African American History and Culture that he had designed for the National Mall in Washington D.C.
Adjaye will discuss his approach to architecture – and his designs for the next museum to join the San Antonio skyline (The Linda Pace Foundation’s Ruby City) – during a free, public talk at 6 p.m. on Jan. 29 in Trinity University’s Laurie Auditorium. Adjaye has captivated global attention partly by blending African architectural elements, such as the coronas (think crowns) that cap the pillars outside the homes of Yoruba kings, with contemporary geometric designs. He is currently designing the new home of the Studio Museum in Harlem, a leader in showcasing contemporary art by African-Americans. For deceased San Antonio artist and art patron Linda Pace, Adjaye combined her vision of a Ruby City that had come to her in a dream with distinctly San Antonio elements, according to Kelly O’Connor, head of Collections & Communications for Ruby City and the Linda Pace Foundation. 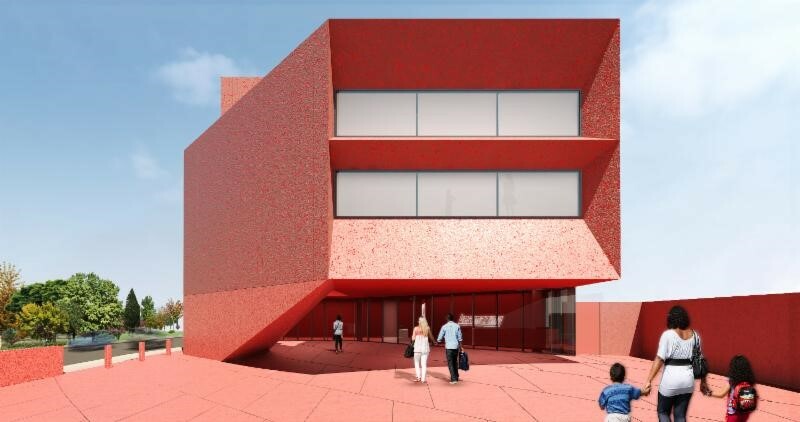 Ruby City will mark Adjaye’s first building in Texas, and the first contemporary art center dedicated to the acquisition and presentation of postmodern and contemporary art in San Antonio. Adjaye also was influenced by the San Antonio Missions UNESCO World Heritage site – specifically, how the natural light enters the space through lanterns/ skylights, O’Connor added. Ruby City will house Pace’s collection of more than 800 contemporary artworks that include pieces by such famous artists of African descent as Isaac Julien, Wangechi Mutu, Leonardo Drew, Glenn Ligon, Terry Adkins, Joyce Scott and Lorraine O’Grady. The San Antonio museum is scheduled to open Oct. 13, 2019. Ruby City by Adjaye Associates (San Antonio, Texas) Sir David Adjaye never ceases to amaze the world with his bold, impactful designs. And his vision of the Ruby City in San Antonio is certainly no exception. The building, which was aptly named for the popping façade, will be an all-new art center funded by the artist, collector, and philanthropist Linda Pace. The museum will house some 800 works of art in 14,000 square feet of space (including paintings, sculpture, and videos). The goal of the new museum was to kick-start San Antonio’s art scene. And if the Ruby City is any indication of things to come, south central Texas has a bright future of cultural exploration. Ruby City is a 14,472 sq ft contemporary art center in San Antonio, TX, dedicated to providing a space for the city’s thriving creative community to experience works by both local and internationally-acclaimed artists. Envisioned in 2007 by the late collector, philanthropist and artist Linda Pace, Ruby City presents works from Pace’s own collection of more than 800 paintings, sculptures, installations and video works. The new building, designed by renowned architect Sir David Adjaye and slated to open to the public in the fall of 2019 is part of a growing campus, which also includes Chris Park, a one- acre public green space named in memory of Pace’s son, and Studio, an auxiliary exhibition space which presents curated shows and programming throughout the year. Ruby City is free and open to the public. Sir David Adjaye OBE is recognized as a leading architect of his generation. Born in Tanzania to Ghanaian parents, his broadly ranging influences, ingenious use of materials and sculptural ability have established him as an architect with an artist’s sensibility and vision. In 2000 he founded Adjaye Associates, which now has offices in London, New York and Accra with projects in the US, UK, Europe, Africa, Asia and the Middle East. His largest project to date, the Smithsonian Institution National Museum of African American History and Culture, opened on the National Mall in Washington DC in 2016 and was named Cultural Event of the Year by The New York Times. In 2017, Adjaye was knighted by Queen Elizabeth II and was recognized as one of the 100 most influential people of the year by TIME magazine.